An elephant walks by on her tiptoes. 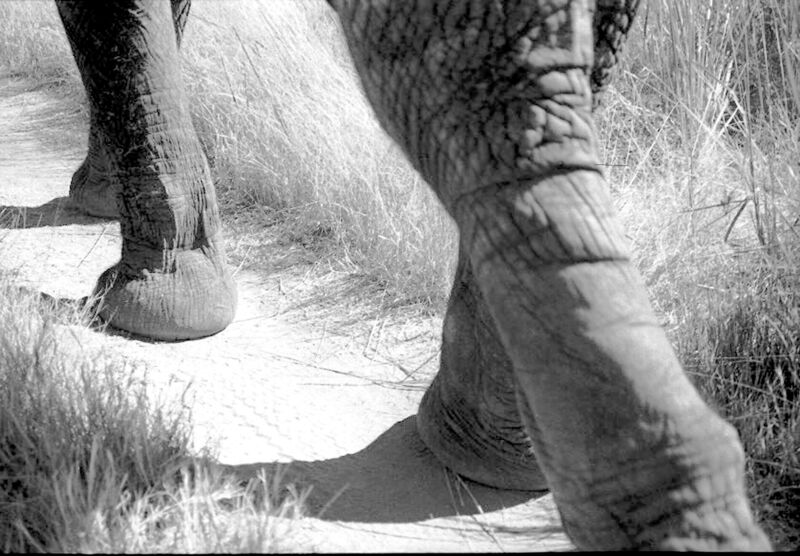 Those fatty pads under her phalanxes (toe bones) cushion her stride, muffle the sound of her footsteps. But can she tiptoe through African tulips? Hee hee. Sorry, Matt, no tulips in Africa. great information, many thanks for ALL your amazing posts.